Health: You remain unduly worried about health, but things will change for the good in 2019. Refuse your temptations to try shortcuts for weight loss as it may not help much. Meditation and Yoga will help you achieve mental solace. Profession: A steady build up since 2019 on the career front will come to fruition by the second month of the year. Not only will you manage to assume a position of authority on the professional front, but also take steps to further your career. Additional academic qualifications are likely to benefit in a competitive situation. Be careful of some professional reverses in October. Family: This is going to be an year to strengthen your family bond. Those staying away from their families will get many chances to visit their families. An addition in the family can be expected in the month of April or September. An elderly advice will come in handy in taking a major decision on the family front. Romance: There will be much love and caring in your current relationship that promises to grow stronger during the year 2019. 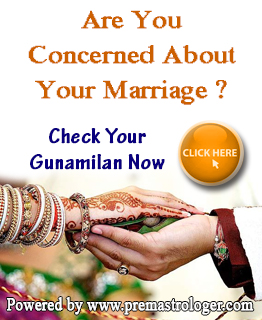 Those engaged for marriage are likely to enjoy an extended courtship and get a chance to know each other better. Downplay whatever happens in the month of September on the romantic front and you will be better off.